In January, JC will offer two poetry workshops through the Library in the lead-up to the 2015 Awesome Authors Contest. The dates and times will appear on the OPL events listing and on this website as soon as they are set. immortal wheat standing from everlasting to everlasting. a crumpled throwaway, Elijah is coming. and the whole jingbang lot. “But wait till I tell you,” he said. the act of a hero,” he said. His eyes looked quickly, ghost bright. stood still in midstreet and brought his hat low. swallowed by a closing door. On parade, Garnett’s new cento draws on phrases taken directly from Chapter 10 of James Joycc’s Ulysses. Why this poem for that day? Garnett seeks feedback on this abstract. What do you think? TONIGHT’s the night! The Ottawa Public Library hosts the annual awards ceremony for winning poets and writers who entered the 2014 Awesome Authors Contest. The event at Ben Franklin Place (Centrepoint) welcomes emerging writers from across the community and their friends and family. Be prepared for a large and enthusiastic crowd. Extra seats are being offered this year after there was standing room only in 2014! JC judged the English poetry entries which were excellent. She looks forward to the reveal this evening and offers congratulations to everyone who entered the contest. “It takes guts to send a poem out into the world, to let your words be judged in a contest. To me, its akin to a parent who leaves her child at school or a summer day camp for the first time. Knots in stomach and all that! JC comes to the Sunnyside Branch of the Ottawa Public Library to give two workshops for young poets in advance of the deadline for submitting poetry and short stories to the Awesome Authors Contest at the OPL. JC is thrilled to judge the English poetry entries in the 2014 competition. Winning poems will be published in the anthology, “Pot Pourri,” sponsored by the Friends of the Ottawa Public Library. From 10:30-11:30 AM, poets ages 13-17 will have the chance to raise questions they have about their writing with JC who promises a chance to try out something punchy-new! From 2:00-3:00 PM, poets ages 9-12 will play with words and forms they can shape, just like the ice sculptures artists create for Winterlude. Wishing all my readers on this site happy and safe holidays and a wonderful 2014. JC spent November 16 on the set of Murdoch Mysteries, now in its seventh season and on CBC. Having ‘won’ the walk-on role in an auction that raised funds for Reach Canada, JC stayed on the set from 6:45 a.m. to 5:00 p.m.in the garb of a respectable ‘churchwoman’ circa 1900. In full make-up, wig and velvet cape, JC stood and interacted with around 50 actors who provided ‘background’ in the one scene that was the subject of that day’s shooting, which took place in a quadrangle on the campus of the University of Toronto. “It was wonderful, though the too-thin clothing for a November day without much sun made for some shivering, and my hat weighed a ton!” JC observed. “I really am pleased NOT to have been a woman in those times, so physically constrained by fashion. The long skirt made it far too easy for me to trip, which I did, frequently! What struck JC were the number of actors and crew involved in capturing just one scene for the hour-long program and how there was constant movement that looked chaotic but actually was the result of real choreography on the part of the director and the many assistant directors who were all linked by earphones. JC left souvenir bookmarks from Reach Canada with key crew members and actors to express the organization’s gratitude to Shaftesbury Films for donating the walk-on opportunity as a way to support the fine work Reach does in Ottawa in the service of access to justice for persons with disabilities and community education. Written by JC under the name of A. Garnett Weiss, ‘Fairy Tales’ crawls into a mother’s clothes closet and channels the mystery of evening gowns and silver dancing slippers as perceived as a child but remembered as an adult. How well this evocative poem aligns with the theme for the new anthology becomes evident to readers in its final, arresting stanza. Is this piece autobiographical? If JC will never tell, would Garnett? Cranberry Tree Press has selected the poem “Fairy Tales” for publication in its new anthology about luck, Happenstance, which will be published this autumn. Starting today, Septembr 27, have a look at “Flight Immortal” which will be released line-by-line. This activity does not bring back the line-a-day project which JC undertook over more than two years and which came to an end once she felt posting a new line a day had become more of chore than a pleasure. With her poem, “Spectacle” JC supports the fine work of the Prince Edward County Field Naturalists (see the poem at http://www.saveostranderpoint.org/spectacle-a-poem-by-jc-sulzenko/) in the organization’s appeal against the Environmental Review Tribunal’s dismissal of arguments concerning the impacts on the delicate alvar environment and on bird populations in the internationally designated Important Bird Area as a result of a project to site industrial wind turbines at Ostrander Point. The ERT did revoke the Government of Ontario’s permission for the 9-turbine project to proceed on the grounds that such a project would cause serious and irreversible harm to the Blandings turtle, already a species at risk. Each turbine would be 3 times the height of the Peace Tower. “This project and like projects in South Marysburgh make zero sense.” JC urges Ontarians to check out the PECFN website and the website of the Alliance to Protect Prince Edward County to find out the facts and how to support the citizen-based movement to site turbines elsewhere, where they will not harm people, the environment and species at risk. Local writers reveled in the key tips JC revealed during the workshop she gave at St. Andrew’s Presbyterian Church. With her suggestions to enhance the power of poetry, the group wrote poems on the spot, which the Church has undertaken to post on its website. As the song has it, summer brings good reasons to sing. Though weather ups and downs often confuse impatient worshippers of lazy, sunny days and meteor shower nights, fireflies, chorus frogs and distant whip-poor-wills create wonder. – editing the winning poetry from the 2013 Awesome Authors contest at the Ottawa Public Library and writing the foreword for Pot Pourri, the anthology of stories and poems to be published this autumn by the Friends of the OPL. – crafting a commissioned poem on the 40th anniversary of The Glebe Report. – refining her new play for children and families. – creating a workshop for reluctant poets in Prince Edward County to free their voices — to be held in the evening of July 31 at St. Andrew’s Presbyterian Church,Picton. 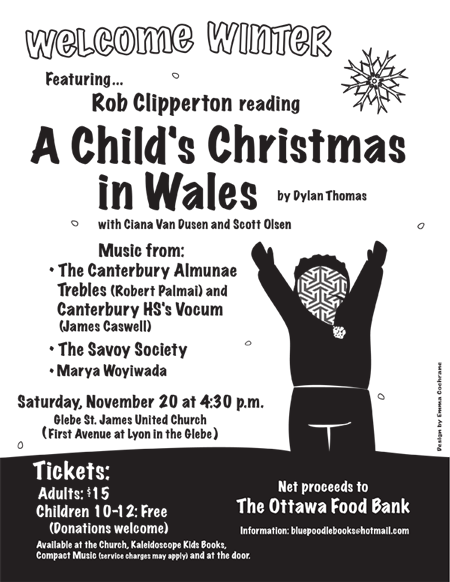 – anticipating the release of the Listen Up Ottawa commemorative book. – smelling the roses, and getting the mites off them before they devour the leaves. That’s what JC had to say after the May 29 performance, under the baton of Rob Kapilow, who conducted the Gryphon Trio, students from Featherston Drive Public School and choirs under the direction of Jackie Hawley in the premiere of “Featherston Days,” an original suite arranged and composed by Andrew Staniland, based on music and poetry written by Grade 7 and 8 students at the school. JC was thrilled to have served this Listen Up! Ottawa project as poet-mentor.Go to the Ottawa Chambre Music Society Website for information on Listen Up! Ottawa. “These young poets and composers show such promise. It has been wonderful to be associated with The Gryphon Trio’s project and with the school. The performance on May 29 provided a unique musical and literary opportunity to Ottawa audiences which revelled in these students’ creativity,” JC declared . “The initiative features Canadian composer Andrew Staniland and Ottawa poet JC Sulzenko, who will guide Featherston’s Grade 7 and 8 students in an intensive three-day creative writing and composition workshop. The three members of the Gryphon Trio (Roman Borys, cello; Annalee Patipatanakoon, violin; and Jamie Parker, piano) and percussionist David Schotzko will also be on hand to provide direction and inspiration. “After the workshop is complete, Staniland will use the students’ collected ideas in a new musical arrangement, which the students themselves will perform on May 29, 2013 at Dominion-Chalmers United Church with the Gryphon Trio, the Cantiamo Girls Choir of Ottawa, the Ottawa Children’s Chorus, and members of Ottawa-based Leading Note Foundation’s Orkidstra. American composer and music commentator, Rob Kapilow, conducts. “Listen Up! involves entire communities in a collaborative arts creation process. It teaches children to actively listen to music by engaging them in learning activities that combine music creation with poetry writing, music improvisation, movement, staging, and video creation. The program also offers parents the opportunity to re-engage with the arts, and it encourages local businesses and associations to support community arts initiatives. JC awarded prizes to poets writing in English, aged 9-11, 12-14 and 15-17, at last night’s ceremony at Ben Franklin Place in Ottawa. The 18th Awesome Authors Contest which the Ottawa Public Library holds and which the Friends of the Ottawa Public Library (FOPLA) sponsor attracted well over 500 entries in the English poetry. English short story, French poetry and French short story categories. When JC asked all of the writers and poets who had submitted their creative work to the contest to stand, the crowd applauded widely. She spoke of the W-O-W-S/U factors she considered in selecting the top six poems in English in each age category and of how impressed she was by the originality of the submissions. She even admitted she wished she had written some of the lines. “It is an honour and a privilege to serve as a judge for this contest. I am so happy to see how ALIVE poetry is for the young writers in our community,” she stated. It’s not often that a request comes along to share insight into what you did when you began your career. In fact, that era, now surprisingly many years ago, seemed to JC to be part almost of another lifetime. JC worked for more than thirty years in the Government of Canada. 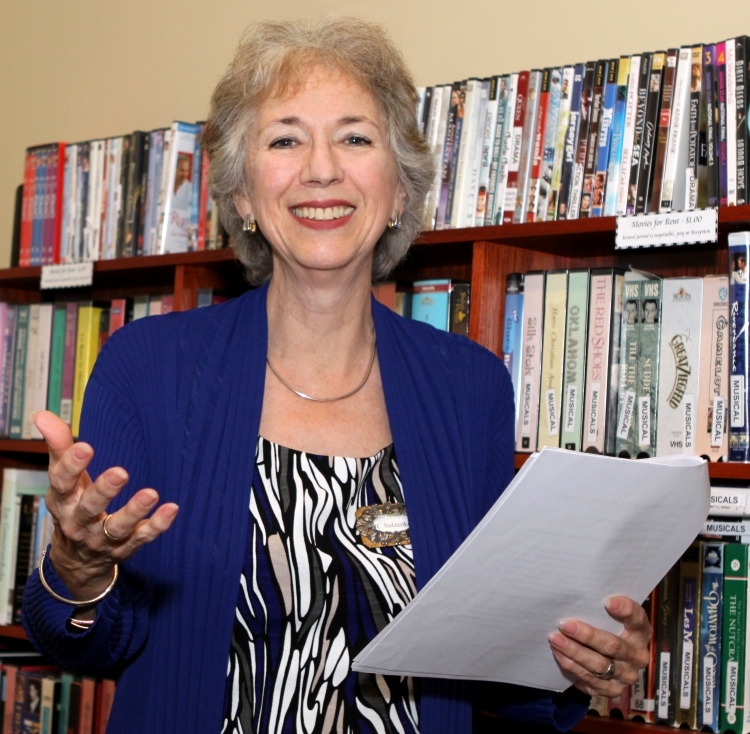 When she retired early, she embraced the writing life 100% and rarely looked back. An email from Ed Conroy, founder of Retrontario (www.retrontario.com), brought her back to the past and to one truly creative accomplishment from those early days about which she still talks enthusiastically. Here’s the link to the story which resurrects TV public service announcements in the 1970’s that featured aliens from outer space (puppets Binkley and Doinkel) as part of a program to teach children about hazardous product symbols on labels of household products so that they would not be tempted to play with such materials. Many adults who were children then still remember seeing the ads and the puppet shows in playgrounds and schools and learning of such dangers from them. JC continues to take delight in knowing that Binkley and Doinkel’s exploits were not in vain! The Line-a-day poem blog began on this site one October as an experiment in disciplining JC to write and post each day. It continued through two Octobers in this mode, until February, 2013. At which point, JC gave herself permission to write and post, not necessarily on a daily basis, but rather when lines come to her. In such a way, she also frees herself to pursue new and enticing directions in her work. When she does post, JC will only add one line at a time and will retain the tanka form for the posts, as she interprets it. In such a way, the poetry blog project will still carry its given ‘name,’ at least for now. JC welcomes your feedback on either the process or on the evolution of her writing. “What My Grandma Means to Say” is all about bringing children into the dialogue about Alzheimer’s in a way that helps them build their understanding and strategies to handle whatever comes their way. With the Alzheimer Society of Canada’s listing, families, who could find “What My Grandma Means to Say” helpful, will now know how easy it is to access the material. The Discussion Guide can be downloaded free from this website. The storybook is still available from General Store Publishing House (www.gsph.com) or from e-book retailers. At 2:00 PM on Saturday, January 19, JC leads a workshop for young poets at the Ottawa Public Library’s Greenboro Branch, 363 Lorry Greenberg Drive. “February brings the deadline for the OPL’s 2013 Awesome Authors Contest, which is open to short story and poetry submissions from writers aged 9-11,12-14 and 15-17. Preregistration at the Branch is required. “Ottawa Woman” celebrates the achievements of women in the region. JC is among a wonderful community of “Women on the Move” featured on the page dedicated to mini portraits (page 18, www.Ottawa-Woman.com). Along with a photo, the paper highlights JC’s writings, with emphasis on “What My Grandma Means to Say,” the play, the Discussion Guide for teachers, available free from www.jcsulzenko.com, and the storybook, now also in e-book form. “I am very pleased that “Ottawa Woman” included me in this month’s roster of women on the move. During the holiday season, the challenges that Alzheimer’s disease brings to the lives of families can be lost in all the celebrations. Yet Alzheimer’s causes changes not only to the person living with it but to the lives of those who care for and about them. The book is available at Kaleidoscope Kids Books on Bank at Lansdowne Park, from the publisher (www.gsph.com) and from e-book retailers. On November 24 at Glebe-St. James United Church in Ottawa, Rob Clipperton read the Dylan Thomas classic, “A Child’s Christmas in Wales” to a rapt audience that filled the sanctuary. The event netted $2000 which was donated to the Acquired Brain Injury Program at The Ottawa Hospital’s Rehabilitation Centre in honour of Allison Woyiwada. For the past four years, Allison served as musical director and co-producer of the event. At the 2012 performance, Allison was a member of the audience as she continues her recovery from brain surgery. This year’s Welcome Winter featured music from Robert Palmai, Marya Woyiwada, Canterbury High School’s Vocum, and the Canterbury Trebles. The one-hour show was greeted with a standing ovation from everyone who chose to herald the holiday season with this program of fine words and music. The annual reading of “A Child’s Christmas in Wales,” written by Dylan Thomas, returns to Glebe-St.James United Church in Ottawa. The hour-long performance features Rob Clipperton as the storyteller, with seasonal music from Robert Palmai,organ, Maria Woyiwada, soprano, Vocum 9Canterbury High School) and the Canterbury Trebles. “This is the fifth time I have produced the program which heralds the holiday season in the best possible way,” JC explained. “In the first four years, Allison Woyiwada, retired music teacher extraordinaire and former Music Director of the Savoy Society of Ottawa, joined me as co-producer and also directed the show. Since Allison is recovering from brain surgery, she won’t be behind the scenes this year but hopefully will be in the audience. To honour her, the net proceeds from “Welcome Winter” will be donated to the Ottawa Hospital’s Acquired Brain Injury Rehabilitation program. “We’ve raised thousands of dollars over the years for local not-for-profit organizations including Reach Canada, The Ottawa Food Bank, and dementia programs at The Glebe Centre. What does it take to write a line of poetry a day? Should be an easy task, or so JC thought when she started the line-a-day poetry blog on this website on October 1, 2010. “I first had intended to write a line each day that would capture the core experience of that particular 24-hour period, much as a diarist would do but in a far more concentrated and focussed fashion. That is not what happened, though. Rather, what suggested itself to me were experiences that could best be captured in the form of Haiku. “I didn’t resist. As I became more engaged in the process, I realized that the Tanka structure would give me more scope and so continued for most of the two years using the discipline of that verse form. “What has evolved surprised me. Some stanzas stand alone. Others link to each other by virtue of subject matter or repeated words or phrases. September is World Alzheimer’s Month, with September 21 designated as Alzheimer’s Action Day. To mark the day and the month that increase awareness about Alzheimer’s disease and related forms of dementia, General Store Publishing House (www.gsph.com) launched the e-book of “What My Grandma Means to Say,” JC Sulzenko’s storybook for children in grades 3 – 6 and families, in which someone is living with Alzheimer’s. “The timing is deliberate,”says JC. “By making the storybook available in a form that is accessible across Canada and world-wide, I hope that families affected by Alzheimer’s disease use the story of Jake and his grandma to launch a positive discussion with their children about dementia. Rather than avoiding conversations about challenges such diseases bring to the lives of families and the children in them, I encourage families to take the big step: use “What My Grandma Means to Say” to build understanding and strategies that support the person living with the disease and each other. The e-book, which can be ordered through Kindle, Kobo, Sony, Barnes and Noble, as well as independent e-book retailers, completes the cycle which began in 2009 with JC’s ten-minute, one act play for children “What my grandma means to say.” The play’s script is contained in the Discussion Guide for teachers, now available in downloadable format FREE from this website, along with FAQS, sources of further information, activities for the classroom and home and a bibliography. A performance of the play by high school students can be screened on this website, as well. “I still believe the experience of reading “What My Grandma Means to Say” is most effective when family members hold the actual storybook in their hands. Sitting together, feeling the book in their hands, brings them closer as they, through the story, learn about Alzheimer’s and what they can and cannot hope for as they deal with how the disease affects the life of someone about whom they care. The 48-page storybook, first published in 2010 and illustrated by Gary Frederick, is available from General Store Publishing House (1 800-465 6072) www.gsph.com at a retail cost of $12.95. The book includes answers to frequently asked questions and lists sources of further information. Within the next weeks, the Discussion Guide for teachers and community leaders, which complements JC’s play for children about Alzheimer’s disease, will be available in downloadable PDF form from this website. “This updated version will be user-friendly and interactive with direct links to organizations and sources that can be helpful to families, teachers and healthcare workers,” JC notes. 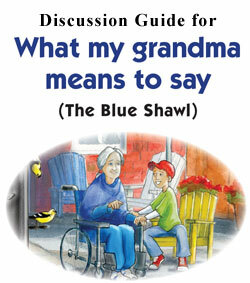 The Discussion Guide contains the script of the one-act, ten-minute play, along with information on how to stage it and how to lead a discussion based upon “What My Grandma Means to Say.” Answers to FAQs, helpful websites and books, as well as suggested activities for the classroom, at home and during visits with someone who is living with Alzheimer’s disease also can be found in the Guide. “Once the Guide is available on-line, I hope that more people who are facing the challenges posed by Alzheimer’s in the family will be able to make use of such information, ” JC noted. The e-book of the storybook published by General Store Publishing House will follow by the autumn. Remaining hard copies of the book are still available from the publisher (www.gsph.com)and from Chapters/Indigo and Amazon Canada. The May 11 issue of The Island Sun, the weeklypaper on Sanibel Island, Florida, carries verses from JC’s Line-a-Day poem at www.jcsulzenko.com (for mature readers). Using the tanka form, JC’s observations in “Spectacle” begin with watching a fox at the shore. The focus then moves to the destruction of sensitive habitats and species at risk, particularly birds such as the Whip-Poor-Will and Loggerhead Shrike, posed by plans to site almost 40 wind turbines, each up to 400 feet high, in an area which carries the international designation as an Important Birding Area (IBA.) Read these verses in Don Brown’s Poetic Voices column on page 38 at: www.islandsunnews.com/Read_the_Island_Sun.pdf. JC joins Sharyn Heagle, President, Ottawa Branch of the Canadian Authors Association, Emily-Jane Hills Orford and Dave Mullington for a ‘get your hands dirty’ panel: The Do’s and Don’ts of Marketing your work. After brief presentations from each panellist, Sharyn will broker a discussion among them about issues they have addressed — what works and what doesn’t — in promoting what they have written. A question and answer session with audience participation will follow. A great way to get and share tips. A time for reflection about 2011 and wishes from JC for a happy New Year, one filled with poetry, creativity, hope and good health. JC was pleased to accept the invitation Lawrence Grant, Executive Director of The Glebe Centre, extended on behalf of the organization’s Board of Directors, to give a dramatic reading of the play on November 28. JC confirmed to the Board how the Glebe Centre partnered on “What My Grandma Means to Say” from when it was first being test-read in 2009, through the development of a Discussion Guide for teachers, the premiere of the play at the Ottawa International Writers Festival in 2009 and the publication of the storybook adaptation in the spring of 2011. She expressed her particular gratitude to Jen Dare, Pat Goyeche and Karen Joynt for their support throughout the evolution of the project. Most recently Abbotsford hosted a tea for healthcare professionals and for educators to demonstrate how the book and the play can enable families and children discuss Alzheimer’s disease and related forms of dementia and can help them develop strategies to support someone they know who is living with such diseases. Members of the Board were touched by the play and posed a number of questions after the presentation. One Board member asked whether JC had thought of writing about what happens as Alzheimer’s disease progresses, with a focus on the end of life. JC had not considered that but would. She advised the board that junior students at her recent reading at Hopewell Avenue Public School had encouraged her to write about other diseases. When JC asked which ones they thought she should target, here were some of their suggestions: diabetes, cancer and ALS. The fact that these children between the ages of 8 and 12 already have such illnesses on their radar screens proved to JC how important it is for families to include children in conversations when such situations affect the life of a family. A full house turned out for the fourth annual reading of “A Child’s Christmas in Wales” by Dylan Thomas at Glebe-St. James United Church on Saturday, November 26! Many members of the audience spoke to JC after the performance with wonderful comments and pleas that the tradition of presenting this unique story to herald the holiday season continue for many years to come. Rob Clipperton returned as the gifted storyteller. At this performance, Rob was surrounded by student actors and singers of the Hopewell Avenue Public School Junior Choir. Dressed in PJs and slippers, these students from Grades 4,5 and 6 had speaking parts from the story and sang seasonal songs that picked up on the themes of “A Child’s Christmas in Wales.” The program began with an evocative organ solo by Robert Palmai, Minister of Music at Glebe-St. James which Marya Woyiwada, Soprano, followed with an aria from Die Fledermaus. Canterbury High School’s Vocum, women in the vocal music program at Arts Canterbury, who were directed by James Caswell, left the audience spellbound with their music. JC thanked the talented performers and musicians for lending their presence to the show, Glebe-St. James United Church for hosting Welcome Winter, volunteers who assisted at the event and Compact Music for advance ticket sales. Net proceeds (over $ 2300) from the one-hour of performance, presented by JC and Allison W0yiwada, benefit Reach Canada (www.reach.ca) this year. JC presented “What My Grandma Means to Say” over 100 students from grades 3 and 4 at Bayview Public School in Ottawa on November 9,2011. After reading from the book and explaining how she adapted the play into story form, JC welcomed questions that covered aspects of Alzheimer’s disease as well as the process of writing she uses. Student participation was great and the questions very thoughtful. She enjoyed her first visit to the school thoroughly. On November 10, JC returned to Hopewell Avenue Public School and met 200 students from grades 3-7 who were crammed into the Library. This enthusiastic group was interested in talking about writing. Several students encouraged JC to write a series which could address other diseases. When she asked which ones, they came up with a strong list: diabetes, cancer, ALS and polio were raised. JC explained to the students how she had launched her first book for children, “Annabella and The TyCoon” in their library thirteen years ago and that the book raised over $2000 for the music program at the school. She also told them that the poem which she wrote which has gone through the most number of drafts was based on an experience she had leading a workshop for Hopewell students during with she met Alice Erwin, an amazing young woman who touched her deeply. “Beholder” is probably my favourite poem,” JC admitted. When asked which of her six books for children she likes the best, she suggested that the question was rather like asking a mother which of her children she likes best. Impossible to answer. It’s great that talking with kids about Alzheimer’s is featured there. Hope that families who could use the book learn about it this way. The Line-a-day Poetry Project began in October 2010, on this site under the “for Mature Readers” tab. JC imagined the challenge as an opportunity to distill into one line some element from her daily experience. It was both surprising and not to her that the project took a different road than she had foreseen. Instead of lines of free verse linked to one another, at least in chronology if in no other way, stanzas emerged. First haiku; then tanka forms dominated. JC often used the repetition of a word or related subject matter from one stanza to another to enable the flow of her ideas. While, JC admits she found herself impatient, at times, for this commitment to write for a year to end, the anniversary date passed without her notice. When she realized the year was over, instead of sighing with relief, she felt regret. So she has decided to continue the process for another year without any preconceived notion of whether the lines will follow the pattern set to date or not. JC welcomes comments on the Line-a-day Project on this site. Here’s the link to the special ’roundtable’ event which was presented with Mother Tongue Books as part of this autumn’s edition of the Ottawa International Writers Festival. http://www.writersfestival.org/events/what-my-grandma-means-to-say-with-jc-sulzenko. The downpour-afternoon did not dampen enthusiasm for this topic. The conversation was wide-ranging. It went beyond a focus on how families develop ways in which to support each other and the person they know who is living with dementia. The importance of music and visual art for people living with Alzheimer’s, new treatments and research, and personal experiences also were raised. Thanks to Laura and Evelyn at the bookstore and to Caitlin Brydges from The Alzheimer Society of Ottawa and Renfrew County for their contributions to the event. The Festival will also sponsor JC’s visits to a number of area schools in early November. Here is the link to an excellent article from Prince Edward Collegiate Institute writers about “What My Grandma Means to Say,” the play, which was performed for 8-12 year-olds at three County elementary schools on October 5. The troup travelled to three more schools on October 6. With the guidance of PECI head of drama and native studies, Matt Sheahan, students from that high school take on the roles of Jake, Grandma, Jake`s mother and the nurse for the ten-minute play, which kick-starts a discussion about Alzheimer`s disease. Rabbi Bulka interviewed JC for an hour-long segment of his Sunday night talk show. Here’s the link to listen in on their conversation about “What My Grandma Means to Say”. On the target page, select the September 18 show. A three-page feature on “What My Grandma Means to Say” appears in the fall issue of Healthwise Ottawa, “Your local guide to improved health and well-being.” The story traces how “What My Grandma Means to Say” developed from a play into a storybook for children and families in which someone is living with Alzheimer’s disease or a related dementia and overtook JC’s writing life. On Monday, September 12 from 4:00-5:30 p.m., the Glebe Centre hosted a sumptuous High Tea to introduce area educators and health care professionals to “What My Grandma Means to Say,” the storybook and the play for children and families about Alzheimer’s disease. Those attending the event had the opportunity to see first hand how “What My Grandma Means to Say” (in both drama and storybook forms) enables children and families in which someone is living with Alzheimer’s disease or a related dementia to discuss how to handle the challenges such conditions pose. Over forty professionals attended the tea at which representatives of The Glebe Centre and the Alzheimer Society of Ottawa and Renfrew County spoke about the use of the material in their work and at which JC Sulzenko gave a dramatic reading of the play. 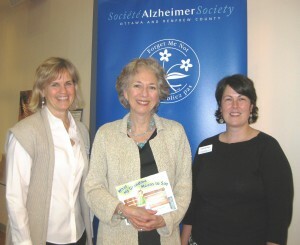 On Monday, June 13, the Alzheimer Society of Ottawa and Renfrew County (www.alzheimer-ottawa-rc.org ) held its annual event in appreciation of the efforts of all its volunteers. JC gave a brief introduction to the play and the storybook. She then presented “What My Grandma Means to Say,” the play, to volunteers, Board members and staff of ASORC. (In the photo, taken by Debbie Seto: left to right – Kelly Lumley-Leger, JC and Caitlin Brydges.) Afterwards, she had an opportunity to chat with many guests and received a very positive response to the reading. Among those honoured that afternoon were people who had volunteered with the organization for over twenty years. JC salutes all the volunteers who assist families and persons living with Alzheimer’s disease and related dementias. JC appeared on Rogers TV for an interview about “What My Grandma Means to Say,” the storybook just launched at the Ottawa International Writers Festival. JC divulged first-hand what drove her to write about Jake and his grandmother, how the story emerged first as a play, and how it evolved in storybook form. JC is a member of the Ottawa CAA poetry circle, Licence to Quill, which launched its first chapbook, Tangled Strands, at Collected Works last Sunday. The subtitle, “Combing the Muse,” says it all: every poem has something to say about hair ! Contributing poets are: Carol A. Stephen, Lesley Strutt, JC Sulzenko, Rona Shaffran, Laura Etherden, Donald Officer, Elise Hynes. JC’s poems,”Joy Waiting” and “En route,” appear in the collection. Copies of Tangled Strands are available at Collected Works, 1242 Wellington at Holland, in Ottawa or from JC. 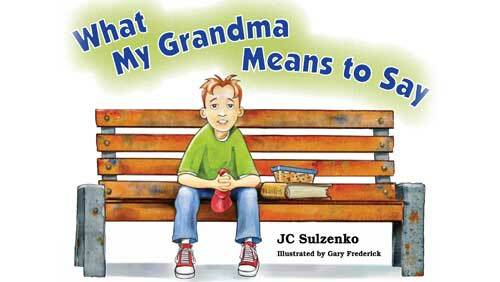 Here’s another chance to meet JC and buy a signed copy of What My Grandma Means to Say. JC will be at Collected Works Bookstore 1242 Wellington at Holland on Sunday, June 5, from 1:30-2:30 PM to talk about and sign copies of What My Grandma Means to Say. Come by and chat with JC. The Ottawa International Writers Festival Spring Edition www.writersfestival.org featured the launch of “What My Grandma Means to Say” at Collected Works Bookstore on Sunday, May 1. JC spoke of how she came first to write the one-act play about eleven year-old Jake and his grandmother who is living with Alzheimer’s disease and then of the journey that led her to capture Jake’s whole story in the book and to seek funding for a video production of the play for use in schools and by community groups. 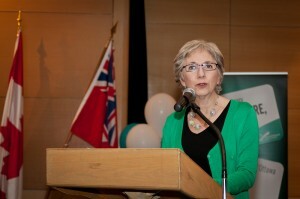 Check out interviews in The Orleans Star http://www.orleansstar.ca/News/Local/2011-05-04/article-2477816/Explaining-Alzheimer%26rsquo%3Bs-in-a-storybook/1?action=sendToFriend, Metroland’s Ottawa This Week http://www.yourottawaregion.com/news/article/999686–children-s-book-sheds-light-on-mystery-of-alzheimer-s and on Nightcap on EZ ROCK (99.7 FM) at http://www.ezrock.com/NightCap.aspx. My article, Children Need to Know, on talking with kids about Alzheimer’s is on page A 19 of the March 28 National Post. “What My Grandma Means to Say” explores how relationships change when someone in the family is living with Alzheimer’s disease. Videographer Kate Morgan and sound guru Hollis Morgan of Constant Sound Studio caught JC’s reading at a branch of the Ottawa Public Library on video, which is now posted on YouTube. Get a taste of how the play led to the storybook and hear how the book captures the story of Jake and his grandma. Listen to JC talk about writing. She also explains why it’s important that children, who are often are drawn into the role of caregivers, gain the chance to understand what is happening when a health issue affects someone they love, so that they can develop their own strategies for supporting that person and their family. At the happy launch of the CD on March 20, JC was thrilled to read “Seasoning” and “Hummingbird Rest” from Fat poems Tall poems Long poems Small. “Hummingbird Rest,” with original background music by Claude Naubert, is the only poem on “Dancing Kites,” which features performances by 17 other Canadian artists. 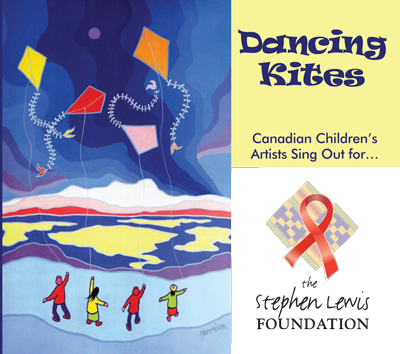 The Ottawa group, Grammas for Ambuyas, compiled the CD to raise funds for the Stephen Lewis Foundation. Copies can be ordered from www.indiepool.com/GTA111. Artists who donated their work to the project include Charlotte Diamond, Raffi, Valdy and Connie Kalder. Ted Harrison provided artwork for the CD’s cover. An exciting month for JC. She welcomed the opportunity from the Ottawa Public Library to give a dramatic reading of her play for children about dementia, What my grandma means to say, at two branches. On January 11, she met 75 grades 3,4 and 5 students from Jockvale Public School at the Ruth E. Dickinson Branch, and on January 12 the St. Laurent Branch arranged for her to visit Queen Elizabeth Public School, where all the students from grades 4, 5 and 6 had the chance to hear her perform her play and to ask questions and comment after her presentation. JC also gave both groups of students a ‘sneak’ preview of the prototype of the book adapted from her play. For children in grades 4-6 and their families, this 46-page, illustrated book tells the whole story about eleven year-old Jake, his mother and grandma in Jake’s own words. Written to encourage families to discuss the challenges that face them all when someone dear to them is living with Alzheimer’s disease, the book includes frequently asked questions and answers, as well as sources of more information. The storybook will be published by General Store Publishing House (www.gsph.com). Download an order form and send or fax it to GSPH if you want a copy for you or someone about whom you care. 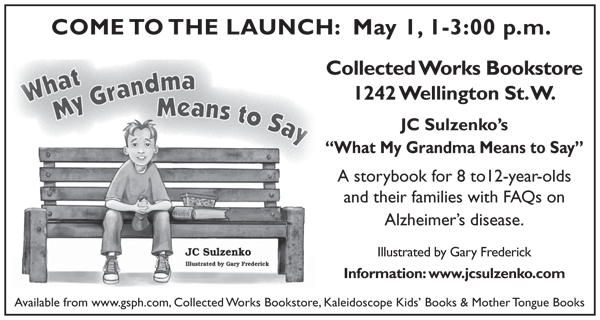 The storybook adaptation of my play, What my grandma means to say, has been illustrated beautifully by Gary Frederick (www.gdfpro.com), and is now with the publisher’s designer. This book about Alzheimer’s disease and related dementias is written for children in grades 4-6 and their families. It lets Jake share his own story from the time he first notices how his grandma is changing from awesome traveller, bird watcher, and brownie-baker to someone who doesn’t remember his name or where she lives. After she moves to a long-term care residence, the story follows Jake and his family as they adjust to how different their lives together have become. JC, together with Allison Woyiwada, produces the third annual reading of the Dylan Thomas classic, A Child’s Christmas in Wales, featuring Rob Clipperton, with Ciana Van Dusen and Scott Olson. Chairing the panel is the indomitable Mary Jane Maffini, who pens three award-winning mystery series. Proceeds from the evening will go to the Doug Davidson Building Fund and People, and Words and Change Literacy Organization. Tickets: $35. per person. Call 613-236-0617 for information. JC served as a judge of the English poetry submissions to the 2011 Awesome Authors Contest. The awards ceremony on March 29 was wonderful! 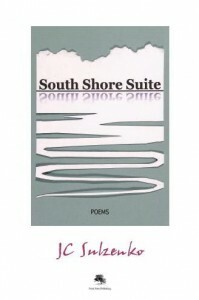 JC congratulated all the poets who entred the contest and looks forward to the 2011 pot pourri anthology which will publish the winning poems. 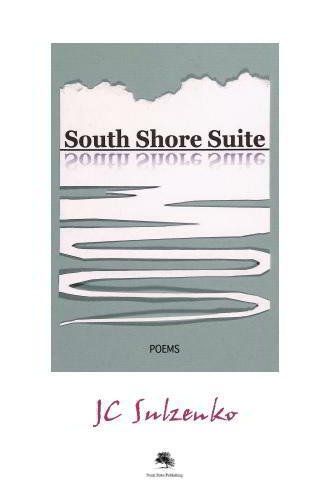 On October 9, the OPL hosted the launch of that year’s pot-pourri 2010, the anthology of winning stories and poems from writers 9-11, 12- 14 and 15-17. JC wrote the foreword to the 178-page book. “You have to read these winning entries for yourself to believe just how talented these young writers are. pot-pourri 2010 is an outstanding collection of stories and poems in English and in French. It makes a fine gift for emerging writers and thoughtful readers of any age,” JC commented on the back jacket. To order copies ($12.95 each), please go to: http://www.ottawapubliclibraryfriends.ca/index_e.html; or contact the Friends of the Ottawa Public Library at 613 580 2424, extension #14383. JC was thrilled to receive the Order of Friendship Award from the Ottawa Public Library at the June 14, 2010 meeting of its Board. 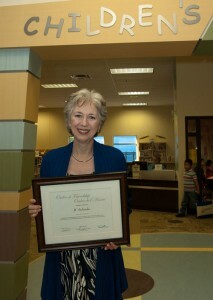 The award recognizes JC’s work as a judge for the OPL’s Awesome Authors Contest for over 6 years. As chair of the Board, Councillor Jan Harder explained in her citation, “The OPL Order of Friendship is awarded to individuals, groups or institutions in recognition of outstanding volunteer contributions to the Ottawa Public Library. The individuals we are honouring this evening certainly have gone above and beyond in their volunteer efforts for the OPL. “The Awesome Authors’ contest has been a cornerstone of children’s and teens services at the Ottawa Public Library since amalgamation. This bilingual program promotes the importance of writing for young people from ages 9 through 17. “Each year our judges make their way through hundreds of short stories and poems to weigh their merits and award prizes and honorable mentions. The judges tell us each year that the task is enjoyable, if daunting, and they are continually amazed by the quality of the prize-winning entries. In the past four years these judges have looked at over 1400 entries.